Started the charter around high tide on a brilliantly sunny day. Went to the middle of the harbor while waiting for the current to pick up steam. 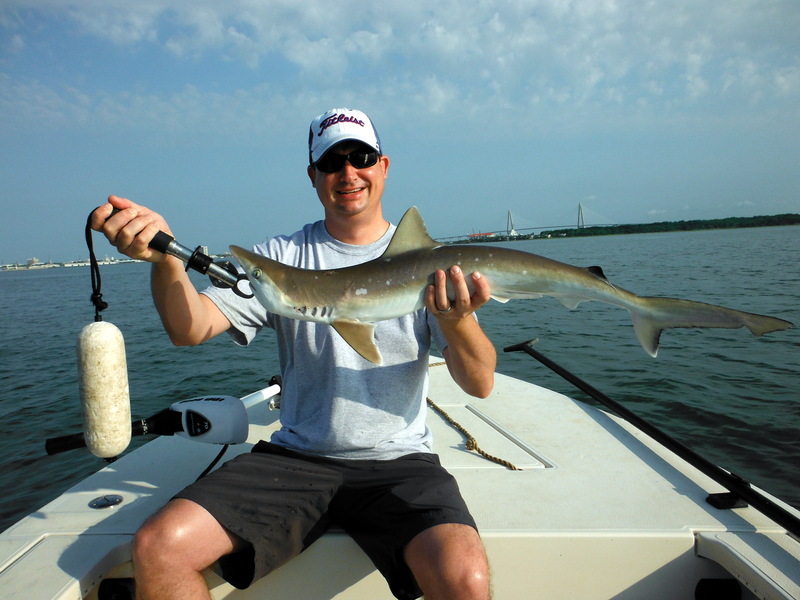 Found plenty of Atlantic Sharpnose eagerly taking cut bluefish and croaker. After getting our fill of sharks, we headed off in search of other gamefish. Mud minnows proved to be effective either under popping corks or bumped along the bottom with a jighead. Caught many trout and ended the trip with a three pound flounder!